“Striata shares the same goals as The Gulf Asia Holdings group, which is to help organizations leverage technology for competitive advantage and business success. We have a successful history in assisting clients maximize revenues, optimize business efficiencies and achieve a significant ROI and look forward to doing the same for clients in the Middle East,” explains Keith Russell, Sales Director, Striata Asia Pacific. The Gulf Asia Holdings group’s consortium brings together a number of public and private bodies from across the Globe. The main players in the consortium have a productive history of product manufacturing, successful project implementation and best practice models for technology consulting. “We believe our partnership with Striata will enable us to leverage their technology, and in turn take advantage of their industry expertise and unique product offering. Including Striata’s Push eBilling Solution in our portfolio will be of great value to our current and potential clients and so we are very excited about this latest development,” said Dr.Ganapathi Dhiwaghar, Executive Chairman, Gulf Asia. The Gulf Asia Holdings group’s consortium brings together a number of public and private bodies from across Globe. The main players in the consortium have a productive history of product manufacturing, successful project implementation and best practice models for technology consulting. Gulf Asia Holdings group’s goals are to further the thinking in business-technology and to help organizations leverage technology for competitive advantage and business success. We accomplish our mission by serving as a catalyst for collaboration between business-technology thought leaders worldwide and by giving clients access to this think tank through our research, BOT, and consulting — all of which is provided exclusively by the world’s leading businesses. 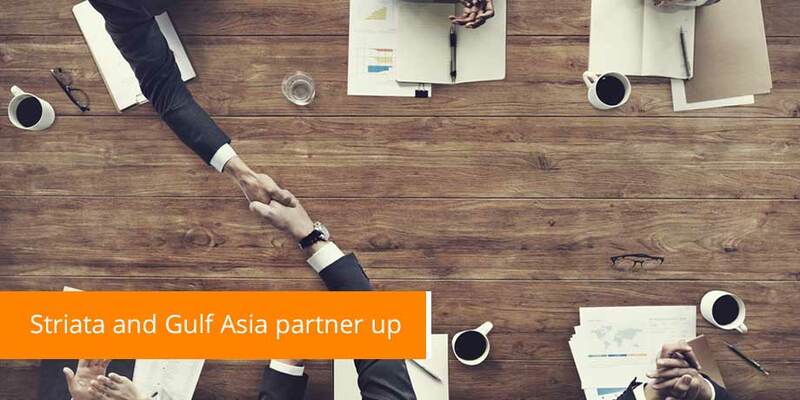 With Gulf Asia Holdings group’s Consortium, you get the best solutions delivered by the world’s leading experts.